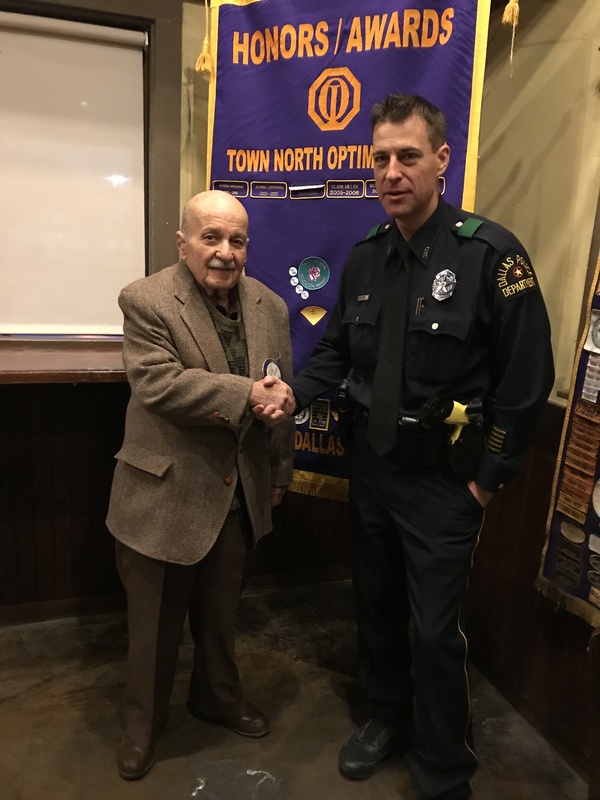 Officer Nolff is a twenty-seven year veteran of the Dallas Police Department. He assumed the role as the Northwest Neighborhood Police Officer (NPO) business liaison in November 2016. Officer Nolff works in close collaboration with business owners, apartment managers, community leaders and city government officials to address and resolve crime and quality of life issues that affect the Northwest Patrol Division. Officer Nolff has built a reputation in the community and among his peers as a trustworthy and reliable professional. He has an ardent spirit for his fellow officers and works diligently toward improving the morale and work environment. Officer Nolff’s commitment to duty toward his fellow officers extends beyond his comrades at the Northwest Division. In April 2017, Officer Nolff was informed the Dallas Police Honor Guard needed financial support to attend the National Police Memorial event in Washington, D.C. He took the initiative and contacted business owner Paul Rego, with Regogo Racing, and he agreed to organize a blues benefit concert to raise money for the Honor Guard. The benefit concert raised an estimated seven thousand dollars which helped the Honor Guard achieve their goal of attending the 2017 National Police Memorial in Washington, DC. In June 2017, Officer Nolff organized a community outreach event titled “Share the Shoes.” This initiative involved citizens, schools, and business leaders in the community gathering over six hundred pairs of shoes. Officer Nolff and fellow NPO officers disseminated those shoes to children and needy families at two City of Dallas Recreation Centers and the Ronald McDonald House Dallas. It’s this type of community engagement that builds trust and relationships between citizens and police. Thank you Officer Nolff and congratulations for being selected February’s Officer of the month!